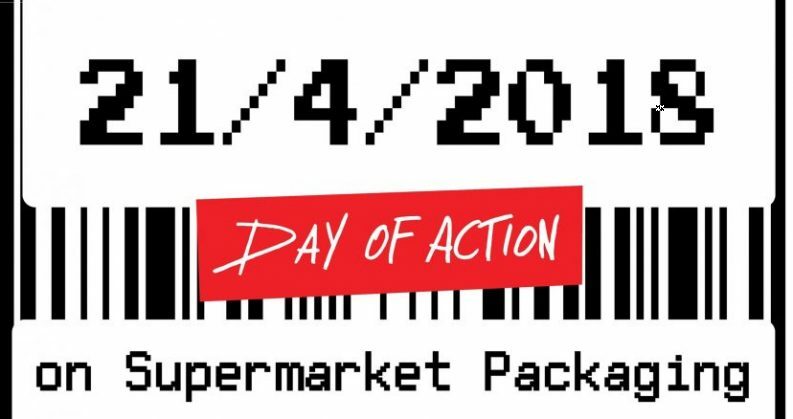 Thousands of shoppers across the country left their unwanted plastic packaging at their local supermarkets in the Sick of Plastic day of action on Saturday. Extra bins could be seen at major supermarkets like Lidl and Aldi, which were set up for customers to Shop and Drop their unnecessary plastic packaging. 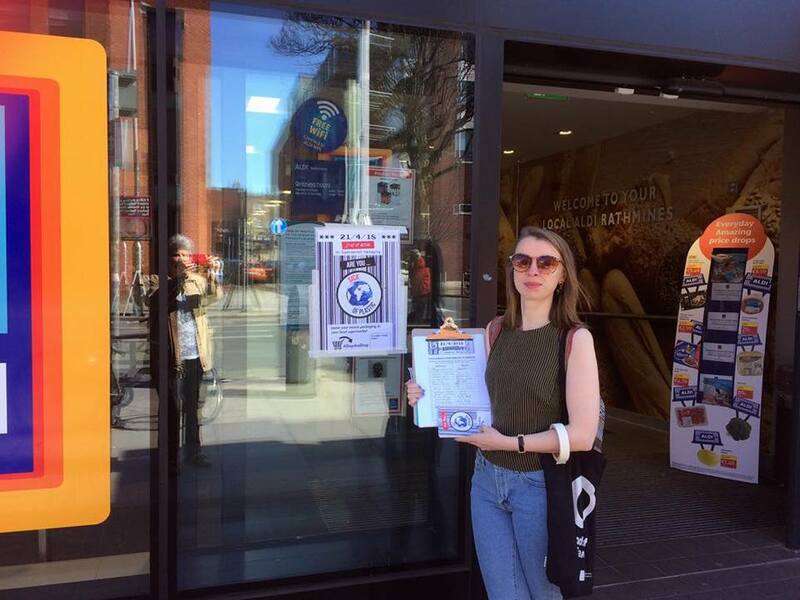 The nationwide campaign, organised by Friends of the Earth Ireland and VOICE Ireland, attracted nearly 400 people who turned up to volunteer in supermarkets all across Ireland. Saturday’s national campaign culminated to an even more universal event on Sunday, Earth Day, the world’s largest environmental movement. Oisin Coghlan, Director of Friends of the Earth said that the “huge” public response to the issue of plastic pollution shows that people “do get it and want to protect the environment”. He said, however, that most politicians remain “behind the curve” on the issue and are “hostages to outdated thinking or vested interests” who make money from business-as-usual. Supermarkets in Ireland were relatively cooperative during Saturday’s Sick of Plastic campaign, and many have plans for more sustainable initiatives in their stores for the future. Last week, Supervalu announced the introductions of new fully compostable and biodegradable produce bags in their stores. The company becomes the first retailer in Ireland to do so. The move is part of Supervalu’s wider plan to reduce packaging and make all of Supervalu’s brands and fresh produce packaging recyclable, reusable, and compostable by 2025. According to Supervalu, biodegradable bags are currently being trailed at 70 stores. At Lidl, the retailer company introduced a number of additional items with no plastic packaging in the fruit and vegetable department back in March. These were initiatives under Origin Green commitments, according to Lidl. Meanwhile in Aldi, a spokesperson of the company also spoke regarding the reduction of plastic packaging in the company’s grocery supply chain. “We have committed to ensuring that 100% of our own label packaging will be recyclable, reusable or compostable by 2022, and achieving a 50% reduction in packaging across our own label products by 2025,” said the Aldi spokesperson.